This month, the Porcupine’s Quill is pleased to release the ninth instalment of our Essential Poets series, The Essential Tom Marshall. The Essential Poets series began in 2007 with The Essential George Johnston, and has been going strong ever since. To date, we have published The Essential Margaret Avison, The Essential P K Page, The Essential James Reaney, and many others. They’re all on our homepage, so you can peruse them at your will. The collection is an important one. As co-editors David Helwig and Michael Ondaatje state in their foreword to The Essential Tom Marshall, “Everyone likes to believe that the best of poetry will endure, but it doesn’t do so without help.” The Essential Tom Marshall is the result of their desire to “help”. The same can be said for the rest of the Essential collections. With the assistance of editors from all over Canada, PQL selects the most essential contemporary poets and their most essential poems. The series offers these poets in slim volumes, just over 60 pages. 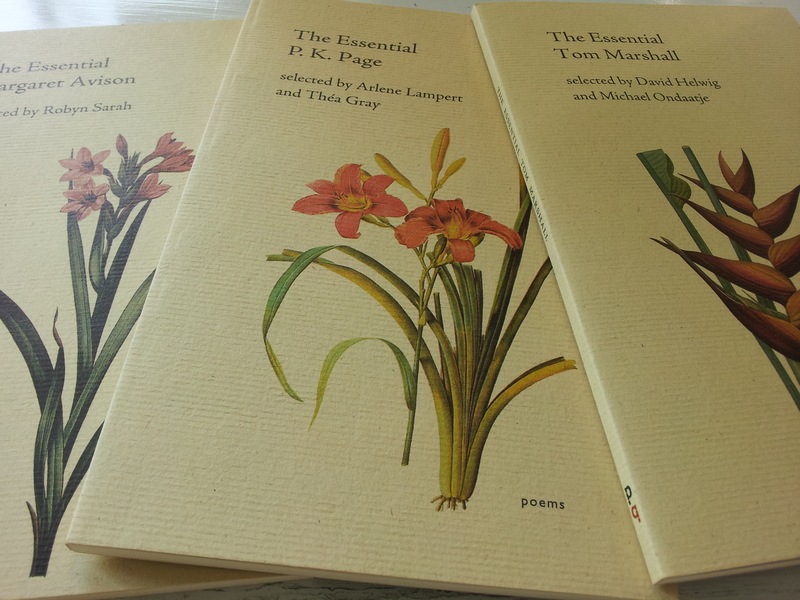 The volumes are handsome, typeset in elegant Adobe Jensen and featuring a different flower on each cover. Together they are a gentle reminder of the good stuff we’ve already got, right here in Canada, if we would just take the time to look. Tom Marshall is an excellent example of the series’ mandate. Tom was an inveterate traveler, but always returned to Kingston, Ontario, where he spent the majority of his adult life. He taught at Queen’s University and worked as publisher and editor at Quarry Press, a press he helped found. 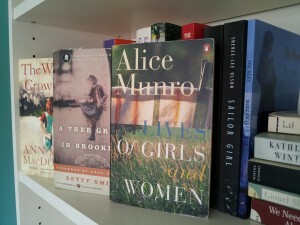 He wrote several books on Canadian literature, including a few before Canada was really considered as having a literature at all, making him one of the inventors of the Canadian literary tradition. Tom wrote poetry as well, giving us inventive, exploratory verse and somber, elegant meditations. He wrote several novels, including Adele at the End of the Day—a moving tale about the untenable nature of our dreams and aspirations, which somehow still manages to affirm our unwavering faith in them. There is still a large community of Tom Marshall’s friends and supporters in Kingston, which is why we are delighted to be a launching The Essential Tom Marshall in Kingston at the WritersFest later this month. For details, please see our events page here. For those of you who cannot make it (or even for those of you who can! ), we’d like to give away a free copy of The Essential Tom Marshall. All you need do to be entered is answer one simple question…. The Essential Poets series constitutes some things that are essential in our lives here at PQL, but what’s essential in yours? Comment below or tweet us at @porcupinesquill with a book or author that has been important in your life. What work has been essential to you? Tweeters, don’t forget the hashtag #Essential! Contest closes Friday, September 21, in the morning. The Way The Crows Flies, A Tree Grows in Brooklyn, and Lives of Girls and Women have all been essential books in my life.